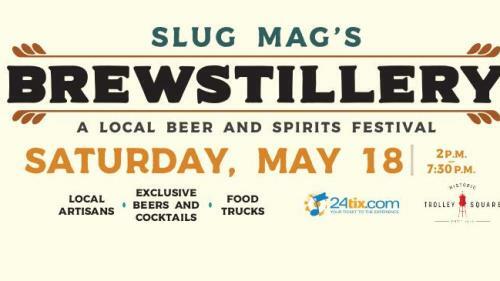 On May 18th, at Historic Trolley Square, SLUG Mag’s Brewstillery: A Local Beer and Spirits Festival. This is an all ages event. Two awards will be given for exclusive brews that will be at Brewstillery. Attendees will vote for their favorite exclusive brew for the People’s Choice award, and SLUG “Beer of the Month” columnists Chris and Sylvia Hollands will be the judges for the Best New Brew award. There will also be awards given to distilleries, to be determined. Visit SLUGMag.com for more information about Brewstillery, and read up on the exclusive offerings at the festival below!